Pico is involved in design and development of HTEM system for number of years and has developed its own P-THEM system, which is revolutionary in many aspects. The system is compact with a small foot print, very robust and user friendly that makes it ideal for first time users and an obvious choice for experienced operators for exploration down to 500 meters. The system can work in different industrial frequency environments, delivering required magnetic moment depending on the exploration targets resulting in high data quality. Please refer to the P-THEM description and brochures for technical details. The system collects 3-directional response from the ground recorded in continues mode. The collected data can be extracted into ON-TIME and OFF-TIME decay gates according to the aims of study. Three component receiver, current monitor, orientation re-calculation technique developed by Pico, as well as transmitter platform positioning sensors give wide range of tools to work with the data. Pico’s magnetic system is synchronized with time domain pulsation. 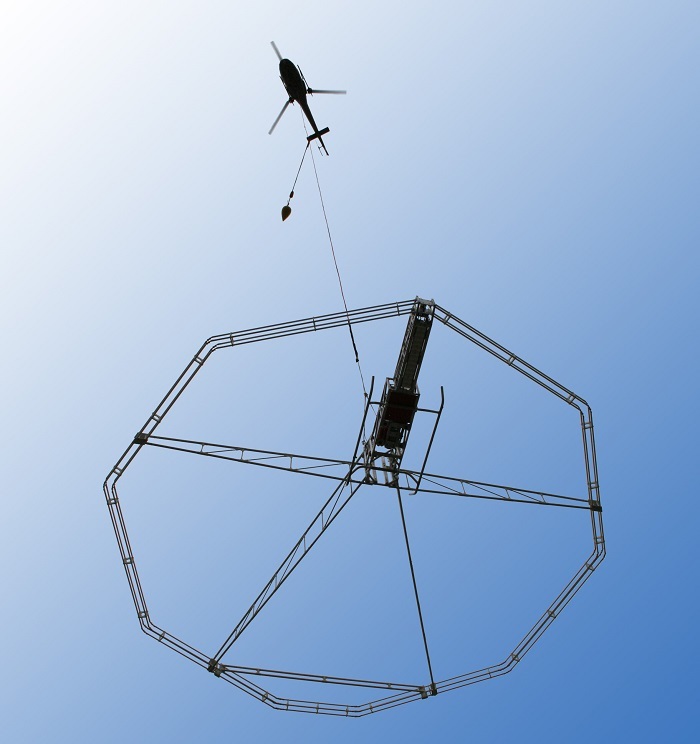 The magnetometer and gamma-ray spectrometer can be integrated with the P-THEM system which gives a flexibility to make a complete multiparameter geophysical system. The P-THEM system is adaptable, well suited for mineral and ground water exploration, shallow soil mapping, and environmental applications.